Following a number of readmissions after laparoscopic appendectomy,we reviewed the procedures performed for acute appendicitis over 1 year. Excluding 64 cases of peritonitis, 237 emergency appendectomies were performed by a group of surgical associates at a single institution between August 2007 and August 2008. The procedure of choice was laparoscopy performed using 3 ports in 154 patients (94 women). 83 lean individuals (60 men) were operated on through a small McBurney incision. Laparoscopy patients were significantly older than McBurney patients (28.5±16.4 and 20.3±16.5 years). An abdominal drain was left in 20.7% of laparoscopies and 7.2% of open procedures after abdominal lavage in all cases. In addition to systematic peroperative antibioprophylaxis, 27.3% of the laparoscopy group and 28.9% of the McBurney group patients were discharged on antibiotics for 1 week. 10 patients in the laparoscopy group and 4 in the McBurney group developed complications. Major complications requiring prolonged stay and/or readmission occurred in 6 of the laparoscopy and 4 of the McBurney group patients. In the laparoscopy group 3 of these 6 patients required reoperation for inflammatory bowel obstruction, abdominal abscess and eventration after conversion to a midline laparotomy. 2 patients were treated by needle aspiration or antibiotics alone for abscess. 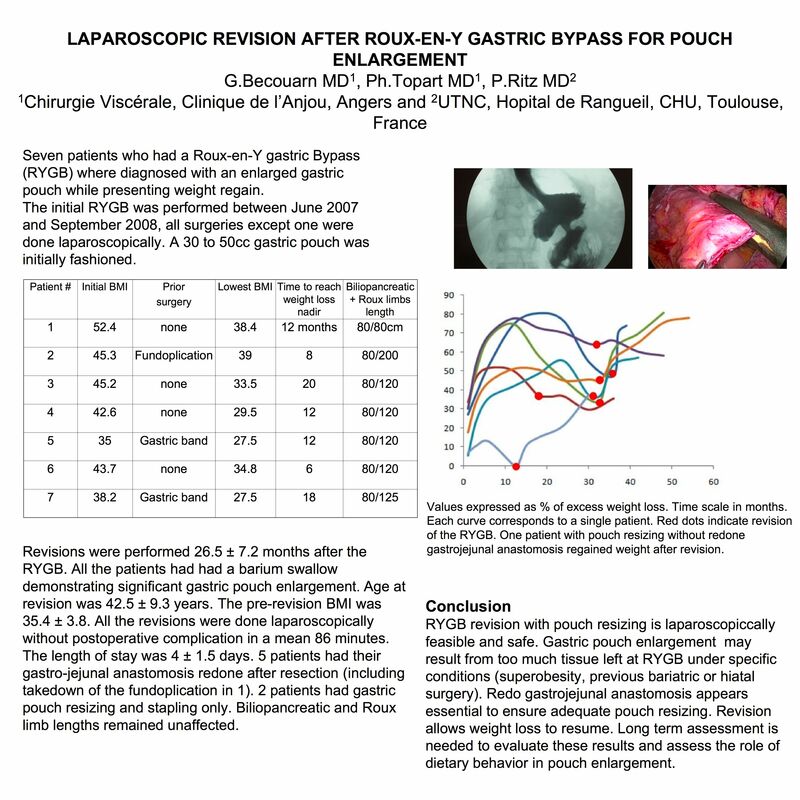 In the McBurney group 2 patients were reoperated on (laparoscopy for bowel obstruction and open abdominal abscess drainage), one patient had prolonged antibiotherapy and another was diagnosed with Crohn’s disease. There was no fatal complication. The rate of complications and reoperations was not different between the 2 groups. A multivariate analysis did not identify : age, type of procedure (laparoscopy or open), abdominal drainage or prolonged antibiotherapy as a predictor of the outcome. In conclusion, laparoscopic appendectomy has a similar 93.5% favourable outcome when performed for acute appendicitis compared to the open McBurney approach. Liberal use of abdominal drains or prolonged antiobiotherapy is not supported by this retrospective study and does not seem to influence the outcome.